Voxox Lets You Share Files Up to 100MB with Anyone You Want for Free! Have you ever needed to attach a file too large to email? (Even Gmail has its limits!) Or wanted to transfer a file in a Facebook chat? Well, the great thing about Voxox is that you can send files up to 100MB through a simple little URL – via email, Facebook, Twitter, SMS, or any other form of electronic communication that lets you add a link – and you can do it for free! It's so easy, too. 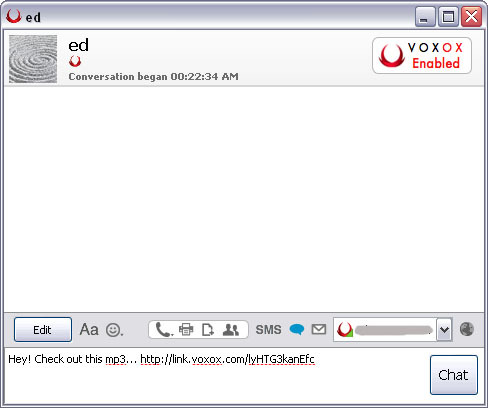 You just open up the Voxox Unified Messaging Window, and click the icon that looks like a page (it represents a file). 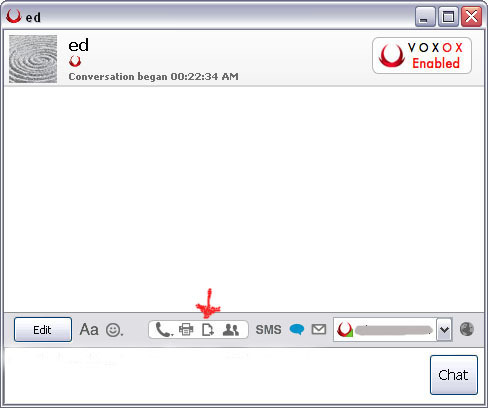 You can find it at the bottom of the chat window, to the right of the fax icon. As soon as you add the file, a short link will appear in the chat window. You can send it instantly to the person with whom you're having your conversation – whether you're chatting with a Facebook friend, DMing someone on Twitter, text messaging, etc... all from Voxox! Or you can just copy the link that appears in the chat window and paste it anywhere you like! Pretty neat, right? It can definitely be a lifesaver when you need to get a large file across real quick. Have you tried it? Let us know! Note: This service is meant for person-to-person file sharing, not hosting a file for a large audience to access. 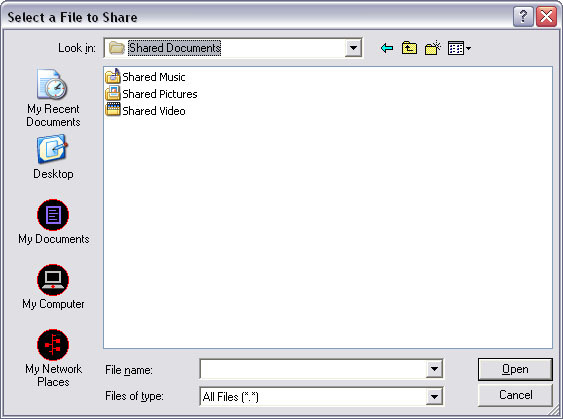 Hence, each link expires after a couple of downloads of the specified file.